At Frontier, we’re committed to families, and what better way to show it than helping Kids Fly Free. That’s right – Kids Fly Free with an adult through our Discount Den travel club. This means more reasons to travel with the family and more ways to save by flying Frontier. Kids Fly Free? That’s Crazy! 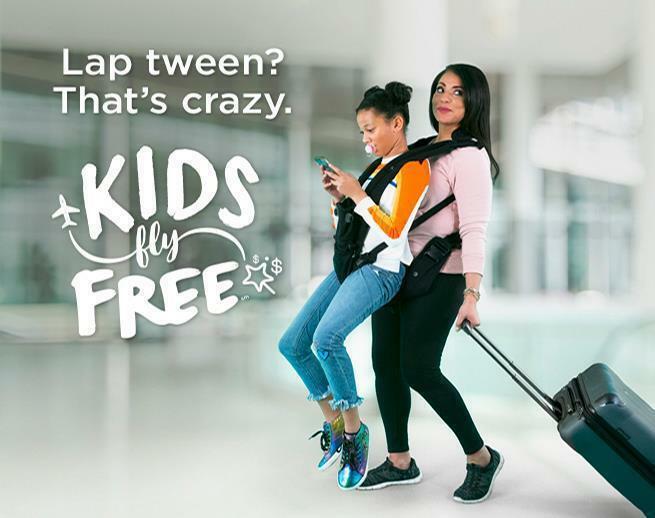 Flying Frontier makes it easy to get great travel deals for your family, and we’re making it even easier for your flock to fly by letting Kids Fly Free. FREE. And we aren’t just talking about the small-enough-to-sit-on-your-lap kids. We’re including the tall-enough-to-ride-the-big-rides kids, the mom-I’m-not-a-baby-anymore kids, or the oh-my-gosh-they’re-almost-driving kids. All kids 14 and under can fly free on select flights with the purchase of a Discount Den member fare. Free flights for kids means you and your family can travel more often - that means more time together gathering new experiences and more visits to grandma. How Do Kids Fly Free? It’s as easy as 1, 2, 3 for your kid to fly free! Join our fare membership club, Discount Den, to enjoy Kids Fly Free. You will also unlock other benefits including unlimited access to our lowest fares for up to six people on your itinerary. You can join Discount Den now or at the time of your booking. On valid Kids Fly Free flights, one kid under 15 can fly for free for every adult Discount Den fare purchased. One of the adults must be a Discount Den member, up to 6 passengers (including kids and adults). So complete your booking and enjoy your extra savings. Check out more information on how to get your Kids Fly Free flight. Only Discount Den members can access this offer. So make sure you sign up or login during your booking. We define “kid” as anyone 14 years of age or younger on the first day of your travel. Lap children do qualify but should be booked at time of initial booking as a child instead of a lap child. Change in flight after the initial booking will result in loss of Kids Fly Free promotion. Kids Fly Free is available for select domestic flights and cannot be combined with other offers or promo codes. International flights are not included. Offer not valid on overnight connections. Discount cannot be applied to previous purchases. Offer does not include bags, seats & other travel add-ons. Kids Fly Free offer only applies to airfare. Tickets must be purchased by 11:59 pm Eastern time on April 30, 2019 for domestic travel within the continental United States. Travel is valid through Nov. 13, 2019 on specific day of week as listed. The following blackout dates apply: Feb. 14-18, Apr. 18-22, May 23-25, May 27-28, Jun. 28-Jul. 8, 2019, Sep. 3, 2019. 14 day advance purchase required. Tickets purchased at flyfrontier.com must be paid for at the time the reservation is made, you may request a full refund up to 24 hours after the time of purchase, if the purchase is made 7 days (168 hours) or more prior to your flight's departure. After the 24 hour period, to cancel a non-refundable tickets, a fee of up to $119 per passenger will be charged. The value of the cancelled ticket may be applied toward the purchase of a future ticket for 90 days after cancellation. The ticket may be canceled and refunded at the My Trips section on flyfrontier.com. Additional travel services, such as baggage and advance seat assignments are available for purchase separately at an additional charge. Fares include all transportation fees, surcharges and taxes, and are subject to change without notice. Some markets do not offer daily service. Schedules are subject to change without notice. 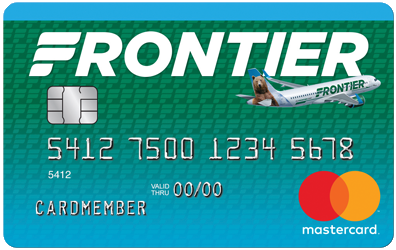 Unless otherwise indicated otherwise, all flights are operated by Frontier Airlines. Other restrictions may apply. Subject to availability.